Mr. Sunshine IS One Cinematic Drama! But how can that be possible, when I'm seeing so many mistakes in their subtitles? As a matter of fact, I'm planning to write every little thing I see in the subtitles from now on. One thing I also noticed how they give a different meaning to some of the Korean words. Like I know some Korean words, and I know they changed the meaning in the subtitle. For example, in one scene they put sick, instead of pain, and according to the scene the correct word should have been pain, not sick. Has anyone here noticed that in the drama? I mean, I could be wrong but I know the scene was about the person being in pain, not sick (unless of course in Korean language sick and pain have the same meaning). The most commonly used word, apuda ì•„í”„ë‹¤ means painful, sore, sick, ill, hurt, ache. So a good subber will choose the right meaning for translation. Sometimes you might hear momi anjoyo ëª¸ì�´ ì•ˆ ì¢‹ìš” which also can be translated as I feel sick, I feel lousy, I feel wretched, also/ are you feeling ill? are you sick? etc. The most commonly used word, apuda ì•„í”„ë‹¤ means painful, sore, sick, ill, hurt, ache. Ah, that's where "Appa!" comes from (at least that's how it sounds). The word they say in a whining and protesting manner when someone strikes them or beats them (mostly a parent, but also a sassy future girlfriend). I figured it had to be that ''apuda'' word that means sick and pain. I thought apuda really meant pain, and they had another word for sick. Thank you for the info. It helps me to understand the Korean language better. Although in the English sub they should have written the word pain, not sick like they did. the scene was about someone getting hurt, not being sick. PS. The previous episodes were edited so I found very few mistakes in the subs. I was also sent a message were I could rate and comment about the drama (is a new feature). I think that in order to have the subs done faster they most likely do the subs through Bulk Translation. When you don't watch the scene many mistakes can/will be made, and I also had to fix my subs since I was doing subs through the BT and made a few mistakes that I had go SE and fix them..
Appa is as good an approximation to the correct pronunciation as any! ì•„í”„ë‹¤ conjugates to ì•„íŒŒìš”, (honorific) apayo, and ì•„íŒŒ apa (intimate). Handsome main guy offers the princess a can food from USA, and she loves it. Phrases like this kill the Joseon feel from the drama. She was talking about a silk vest a girl did for her brother. I can't believe the things I'm seeing here modern slangs in a Joseon era. deft hands is short slang for killer hands/ death hands. A common slang I mainly hear from very young teenagers in my area/era. No, deft is an older and far less hipster word than that. I remember it from a lot of historical British novels. I agree it would've been nicer if they payed more attention to making the expressions sound appropriate for that era. On the other hand, Princess Agents as a drama was so immensely popular precisely because it did not insist on antiquated language. If we are talking about the same Princess Agents drama, I don't think that was during the Joseon era. It was way more ahead of that time. More modern language and less antiquated words, would not affect the drama one bit for me either. In my opinion, the person doing the subtitles for this drama is young and ignorant. Only then, I can forgive the fact that is killing the Joseon era feel for me. I have seen many dramas from that era, and to this day I never saw such disparage in a drama. If this drama had to do with time travel, I would not see anything wrong in that vocabulary mess, but is clearly a Joseon era drama, and in my eyes, is totally disrespectful. I agree that the person doing the subtitles is definitely not the best. In an early episode the term "gobsmacked" was used. This term originated in 1980 per the Oxford dictionary so it is clearly another anachronism. It may happen on Viki as well. I see many Ko-En subbers not take into account the era/social status/age at all. I remember on a sageuk, there were servants saying "Okay" to their master or ministers to the king! Even in modern dramas like Secretary Kim, I always edited "okay" from an employee to the CEO or vice-president to "all right" or "Yes sir", while I left it between colleagues/friends, so that there could be a noticeable difference in tone to show the hierarchy levels. I feel that Koreans, who come from a culture of many different and very specific degrees of formality, when they come into contact with English, they think that because it doesn't have the sort of distinctions they have, there are no distinctions at all, and that's why they are not careful at all when translating. They make Western society more "democratic" than it really is. But it's not true that there are no distinctions! 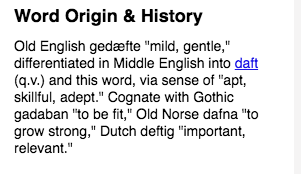 Yes, there's no distinction between thou/you, as there was in the past, but there are other ways of showing respect. "Hey you!" ---- "Excuse me, sir!" "Okay, got it!" ---- "Yes, sir! Understood!/It will be done!" "Are you kidding me? What is this B.S.?" ---- "I don't seem to understand what you're saying"
"Come, come, sit down!" ------ "Please have a seat, ma'am". "Hello, boss!" ---- "Good morning Mr. President"
"How about we go grab some chicken and beer?" --- "Would you like to have dinner together?" Princess Agents is set approximately in the 5th century, so technically they should be speaking a language almost none of us here could understand. Unlike Mr Sunshine, which is set in the early 20th century, at the brink of the modern age. That's why I mention the disparity between the two. Ultimately, there should be a healthy balance between the language used and the age in which a drama is set. In the case of Mr Sunshine, since the drama is so "recent", the English translators (the translations from episode to the next are inconsistent enough for me to believe there is more than one) should have had no problem putting in a bit of the more antiquated expressions. And, yet, I feel nobody told them they should. I just thought I recognized something in Mr. Sunshine but it doesn't seem the case if the filming locations list I found is complete. It was this drama I thought you were talking about (link below)/ When you mentioned 5th century, I knew it couldn't be the one I thought it was. This drama is way beyond awesome! Except for one annoying thing! I just hope I can find out how to let them know how those weird subs are annoying me to the core of my soul! This person/translator is really getting on my nerves! Wow such wonderful drama is ending this weekend and judging from the previews the ending is going to be as awesome as the beginning. I really hope you guys are able to enjoy such a masterpiece. Just overlook the weird subbing along the way and it will be so perfect! This weekend? Isn't the ending on September 20th? Or do you guys have a different viewing schedule? Yes for us it started earlier. but no worries, I won't give out any spoilers. Heartbreaks ahead for everyone. Typical of these Asian writers that don't believe in leaving a happy ending for a change. I swear I'm fuming and I still haven't watched the worst part tomorrow Sunday.